Get the most out of Pinterest by enabling Rich Pins! Graphic designers, artists, and bloggers like yourself use Pinterest to find and save inspiration. Treating this only like a social networking site is not okay, especially if you’re trying to get views to your blog. Read more about Pinterests’ business basics. First things first, you need to set up a business account because it’s completely free! Who doesn’t like free tools? 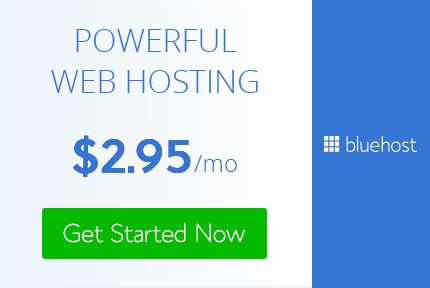 I’ve never paid for a plugin or service other than self hosting and a domain name! Anyways, the Pinterest Business account will give you info on where your audience is from, how old they are, what topics they’re interested in, and many other things. You will get access to more features like creating ads on Pinterest as well. I use my blog’s gmail to sign up. That’s really all you need to make a business account. Pictured is my settings page. Once you’re finished setting up your business account, go straight to claiming your blog. You will want to claim your site/blog because you’ll see what others pin from your site, plus all of your shared posts will include your profile picture, original description and link straight to your site. Also, you will be able to apply for Rich pins once you claim your site, so ya can’t forget to do this. Above shows people already sharing my posts (seen through the activity tab on your profile). Thank’s people! Make it Easy for readers to Pin from your blog! Start by getting social share buttons on every blog post. Most themes come with this. WordPress includes social share buttons that you can edit yourself. If you need help editing yours, check out this post. Enjoy themes that do most of the work for you? Buy mine here! As you can see, I have more than one way for my readers to share my posts. Not pictured is the sneaky Pin button at the bottom of every post. That wasn’t put there on purpose, I just don’t know how to move it anywhere else. It’s good to have at least one. If you have time, you should make 2 others that look a bit different so that readers have more to choose from. Read: how to use the url generator. All you need is the url, image address, and a description. The generated link will lead your pinner to a page like the one shown above. It’s very simple, free and takes the same amount of time or less than it would using a paid plugin. That’s why I highly recommend this free method. I’ve only shared a few of my posts on this site, and I don’t regret it at all. Tailwind really helped get my post shared over 200 times. Well Pinterest did the sharing, but Tailwind deserves the credit. I know it’s annoying to make yet another account to promote your blog. Just trust me, this site works when you’re starting out. Once one of your posts gets shared by 1 user with thousands of followers and millions of monthly views, you know you’re close to getting your first viral pin. Now that your friends can pin your posts, let’s see how to get more views with pinterest. The reason you want to enable Rich Pins is so you can ensure your Pin always has a great description, no matter what the Pinner chooses to add or remove from the regular pin description. Change something on your blog and it will change on every Pin! This is one of the only plugins I have and I highly recommend it. You can also locate the plugin on your WordPress dashboard. Look for it in the “Plugins” tab on the left menu bar. This plugin will help you with writing your posts and getting to the top pages of search engines. When you have Readability and Keyword (SEO) marked green, that means your article is written well. This plugin’s also required to install in order to enable rich pins, so get to it guys! Once YoastSEO is activated, go to Yoast’s “Features” tab. Make sure the “Advanced settings pages” is “Enabled” and that will enable the metadata needed to go to the next step. Enter the URL of a page or post from your site (any page should work). When you see the “Your Pin’s been validated!” message, click on the “Apply now.” link. Enter your domain name and choose “HTML tags” for your data format. Need more help? Check out this page. You will soon see a change in views soon. Don’t get discouraged and don’t focus so much on the numbers. That will really hurt your mind and will make you believe nothing you’re doing is working. I’ve been there and can only suggest being patient! Act like you already have what you want. Blogging is all about faking it till you make it. I hope this post helped some of you Pinterest users! If you’re new to pinterest, you can always message me for help. I’ll try to give you as much advice as I can. I used to think tailwind was pointless, but it works really well I can’t hate it anymore! Hopefully this post can give you an idea of what lotsa bloggers use it for. It’s really helpful if you want more traffic to your blog, and just to get noticed on pinterest too. My followers keep growing there too, its shocking cause I couldn’t get out of 100. Hope u can have more fun on there ! !